Insulated vinyl siding is one of the best investments you can make in your home. In addition to keeping you warmer in the winter and cooler in the summer, it is energy efficient and environmentally responsible, and can breathe new life into the curb appeal of your home without intruding into your leisure time or tapping into your budget with maintenance needs. No matter how fastidious your landscape or impressive your outdoor living space, it is all for naught against a neglected exterior. Here are some of the benefits of insulated vinyl siding. More than anywhere else, you want to be comfortable in your own home, and that includes being warm in the winter and cool in the summer. Your exterior walls may be adequately lined with insulation between the studs, but the studs themselves, can be a problem: Wall studs, both wood and metal, are poor insulators – they allow heat to pass through them (which is called a thermal bridge). Thermal bridging occurs when materials with poor insulating properties contact each other, allowing heat to flow through them. Nearly 25% of a home’s wall is made of studs that typically aren’t insulated, so it’s like having one entire wall of the home without insulation. Insulated vinyl siding is a “blanket” over the studs that prevents unwanted energy transfers. You’ll have year-round comfort and lower energy bills. The energy efficiency for any building material is known as its R-value – the higher the value, the more efficient. Many siding materials have a less than R-1, including steel, aluminum, brick, and stucco. Insulated vinyl siding can increase the R-value to at least R-2 and even up to R-3 or 4, a significant improvement in the energy efficiency of your home and a significant reduction in your energy bills. Also, the installation of insulated vinyl siding may make you eligible for energy tax credits. As more and more people are aware of air and water pollution, they give little thought to noise pollution. Noise is considered a pollutant when it is unwanted and it interferes with normal activities, such as sleeping, conversing, watching television – anything that diminishes the quality of life. When extreme, noise can have major consequences to your overall health. Insulated vinyl siding can dampen the amount of noise entering your home: lawn mowers, barking dogs, passing cars, loud parties, etc. You may be surprised at how much more peaceful and relaxing your home is. Create the exterior you have always dreamed of. If you already have a dreamy exterior, simplify its charm with easy-to-maintain vinyl. Like the look of cedar shakes? Maybe you’ve always admired Victorian scallops. Faux stone and faux wood siding is indistinguishable from the real thing. From the antique to the ultra-modern, whatever your preference, there are hundreds of colors, textures, and styles. You’ll feel like a kid in a wondrous candy store and your home will look years younger. 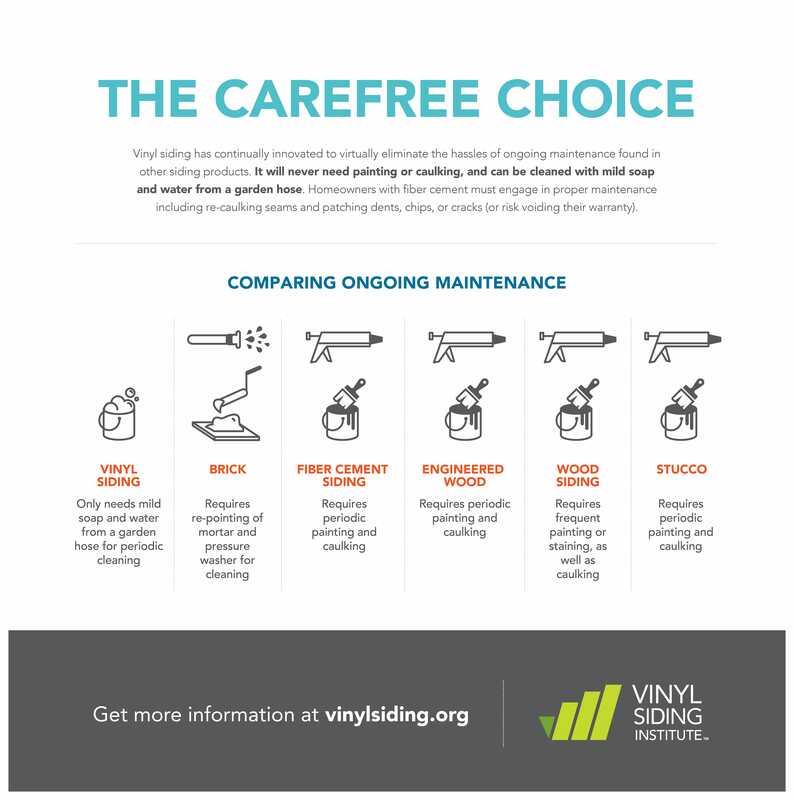 The insulation also helps the vinyl remain impervious to dents and surface damage that can ruin a home’s appearance and keeps the siding flat, straight and symmetrical for a neat, polished first, and lasting, impression – a fitting element in your overall landscape design. It even feels and sounds solid – go ahead, rap your knuckles on it! 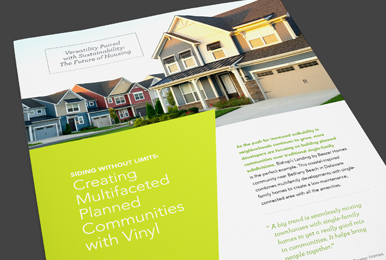 Insulated vinyl siding scores well on strict environmental standards through manufacturing, transportation, installation, service life, and waste management. It emits fewer toxic chemicals while being manufactured and requires less fuel to transport. Scrap vinyl is immediately reprocessed, never dumped into a landfill. Since it needs no painting, staining or caulking, there is no danger from harmful solvents. * All insulated siding products made by Progressive Foam Technologies feature Preventol™ EPS, a systemic insecticide that kills termites but is safe for occupants and pets. The material is used at much higher concentrations in pet flea and tick collars than what it takes to protect insulated vinyl siding from termites. Ashley Miller is a home decor and lifestyle writer who cures her HGTV obsession by refurbishing anything and everything she can get her hands on into something new.